This has been an exciting day already! This morning i woke up early, not completely by choice thanks to my puppies... 5:30. However i was really anxious to go see Tim Tebow speak at Canyon Ridge Christian Church! i was ready for a great experience! It was set up like an interview and was so motivating to hear him speak, and completely give God the glory, and crack some jokes too. However i will say, i'm so thankful for my home church, Central Christian, so if you're in the Las Vegas area and are interested, let's go to Central together, i'll drive, and even buy some coffee if you'd like! I initially was pretty far away from the stage, but since i was alone, they found me a spot only 12 rows up, which was fantastic! Tebow just confirmed exactly what my perception had been. A genuine man who loves the Lord and wants to serve him with the abilities that have been given to him. Next, to read his book! Which i heard is motivating. If you've been searching/stalking the blog you might have noticed a few big changes already, and a few smaller ones. There will be more changes soon too. Part of the change is one my favorite things today! I've been trying to do a brand for Davista since college. It took me a year to really get it where i was happy with it, and now I've changed it a little more. A couple years ago, i fell in love with the font that Angels and Airwaves used for their band. This might be partially because i love them so much, but it finally hit me, that if i love them, and the font, i need to just use it! (a little side story, our first dance at the wedding was AVA so it's close to my heart) so i changed the photography font to Trajan. I got rid of all the lines, because it wasn't working for all of the design i needed it for; traded it out for a lens flare, if you know me, and me work you'll know how much i love to have some flares in my photography, so i thought it was fitting. It works much better for everything i need it for, and am so happy with it! Along with the logo change, i saw a few bloggers who changed the twitter, facebook and pinterest logo to fit their design, so i worked the other day on making some that fit into my design! If you're looking for small ways to change your blog to fit together, this is a small way to do that. Alright past some design, i found this snack when i forgot a lunch, went over to 7 Eleven, and stumbled on this gem. 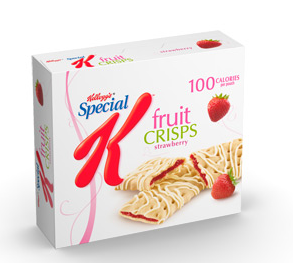 It isn't super filling, but it tastes sweet, and is a great snack for 100 calories! one box, and i'm addicted. 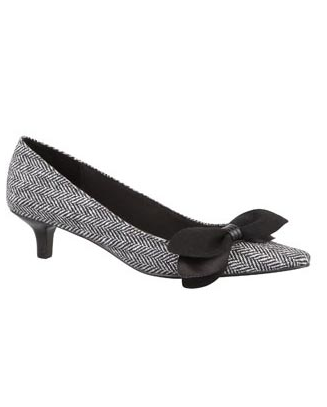 I've been needing new flats, or something not crazy high for work. First purchased some sparkly shoes that perfectly matches the heels i bought, see THOSE here. I almost left when i saw a deal for $9. I thought they really weren't cute at all but soon loved them when i tried them on. Super comfortable, and after wearing them to church, they can be dressy or casual with jeans, and they're not high at all, which is great for running around on cobblestone all day. I had a friend recently tell me she was going to steal the "five things" idea, and i thought it was a great idea, mostly because well.. i found it a wonderful way to share things too, and got this idea from another blog! One of the first blogs i started reading is Cupcakes and Cashmere, and her blog is a lot of fashion, recipes, how to, and all around cuteness! definitely should check it out. It's one of the places i go to for inspiration! click on either image below to go to her blog. The last is a great idea i found at WPPI. if you're getting married, and looking for a beautiful guest book, look into asking your photographer to design you one of these. What a fun idea to get a guest book made out of your engagement photos, and even have pages that can give more direction; like "give some advice to the couple" or "favorite memory." 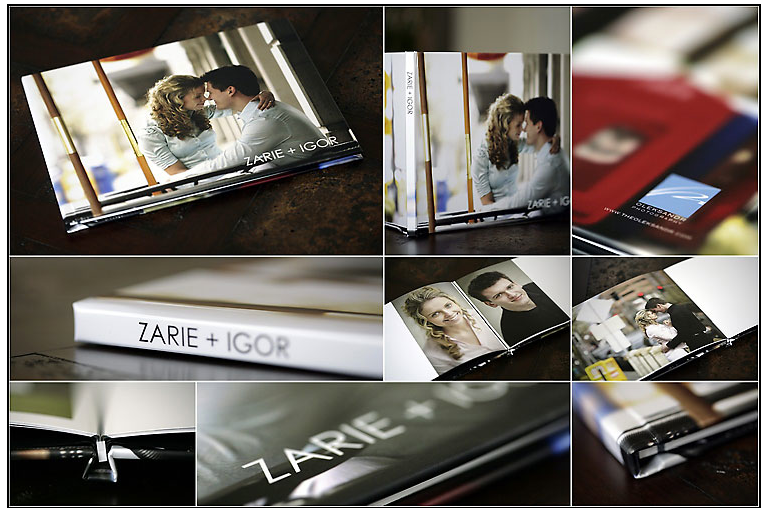 It's a great way to show off your photos, still keep them on a coffee table and have a keepsake. This is something i would go back and change about my wedding too! Do you have any fun ideas for your wedding, or things maybe you'd go back and change now that you are married? tell me about your experiences with your big day, and add in some blogs that are your go to for inspiration! Also, anyone read Tim Tebow's book? Hope you're having a wonderful Sunday, full of relaxation, and family time!